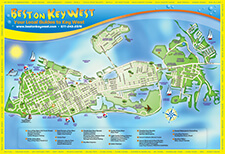 We are known here in Key West for our year-round warm weather and consistent sunny days. Our day cruises give you the option of heading out during the day to enjoy the warmth and sun of our tropical paradise. 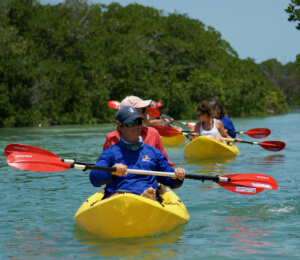 Some of these tours offer snorkeling, some offer lunch and drinks, some offer kayaking. But one thing they all offer is a chance to really experience the beauty and magic of the Florida Keys. Do not spend your vacation stuck in your hotel, get out there and explore the beautiful outside environment that makes Key West such a unique vacation destination. 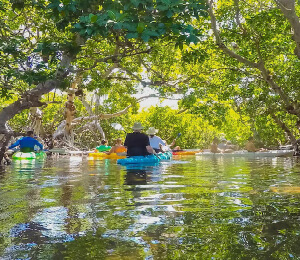 Best on Key West's Island Ting allows you to explore the most-viewed coral reef in the world and then kayak through the mangroves of the Key West National Wildlife Refuge. We'll provide breakfast, lunch and all the equipment you need for a relaxing day of exploration and animal watching. From the exotic reef coral and fish to the endangered species found in the mangroves, there's never a dull moment on the Island Ting tour. 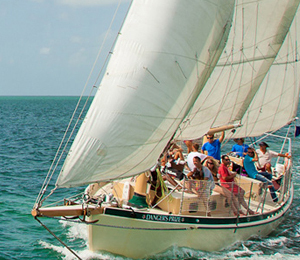 Enjoy three fun Key West activities in one day: a schooner sail, snorkel tour, and guided kayak tour. You will get to discover the diverse ecosystem of the city in an all-inclusive tour that includes breakfast, a buffet lunch, an afternoon snack, and beverages. Explore the shallows of the Key West National Wildlife refuge aboard a beautiful sailing vessel. This boat features a combination of snorkeling, a fabulous lunch, kayaking the remote islands of the keys, and relaxing on remote private sandbars.